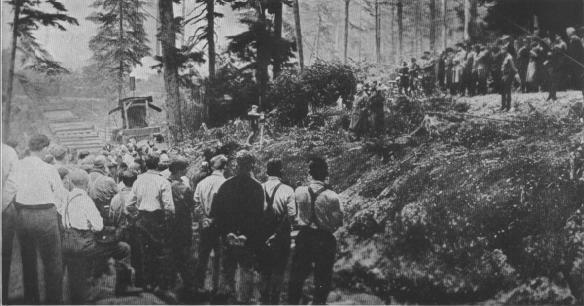 SPEEDING PRODUCTIONMajor General W. I. Kenly, Commander, Division of Military Aeronautics, addressing the Loyal Legion of Loggers and Lumbermen at a nothwest lumber camp where the spruce used in the manufacture of airplanes was obtained. 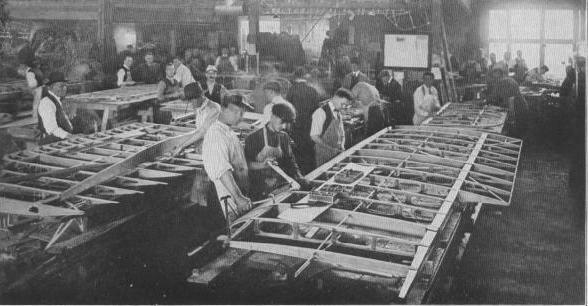 BUILDING THE AIR FLEETLess than 25 percent of the American air squadrons at the front on November 11, 1918 were equipped with American-made machines. The unpreparedness of Uncle Sam was in evidence in every branch of the service.